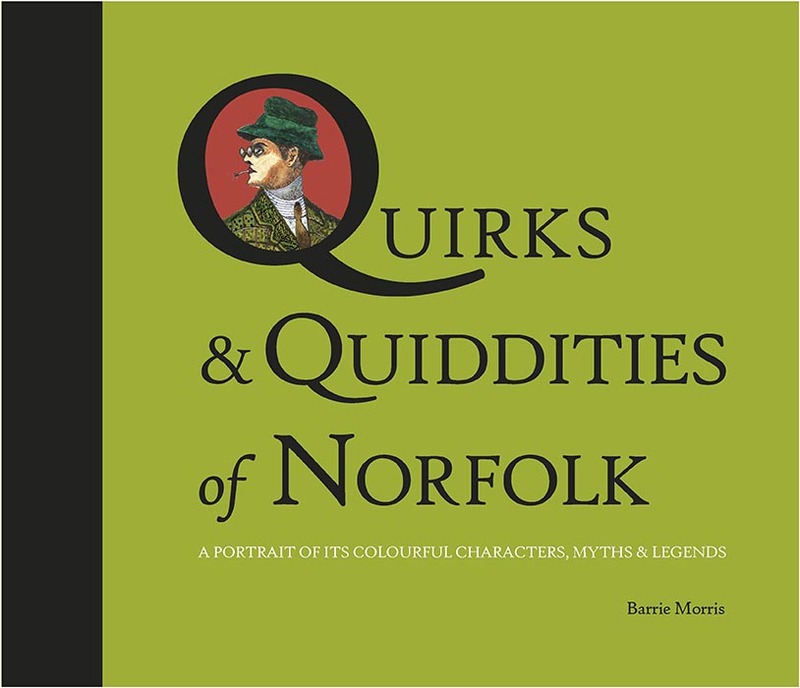 The term ‘Normal for Norfolk’ has, in recent times, come to highlight some of the county’s residents and their ways but the evidence within this new collection of paintings is testament to several centuries of odd goings-on and eccentric characters. 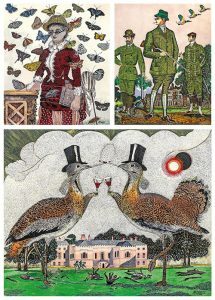 Artist Barrie Morris spent several months considering just who and what to include in his very own Celebration of Norfolk. Some of the characters he has focused on are relatively familiar; The Ghost of Anne Boleyn, The Norwich Snap Dragon and The Vicar of Stiffkey. Others are less well known and some decidedly obscure, The Madhatter of Weybourne, Great Bustards at West Acre or A Miraculous Mermaid in Upper Sheringham all add to a sense of discovery or rediscovery within this diverse county. This will be a most handsome 48 page hardback edition to feature all 20 paintings along with an interesting and informative text which is also written by Barrie Morris.